Mekong River is the mother of lives and the giver of local economies in 8 provinces of Thailand, from the Golden Triangle in Chiang Saen, Chiang Rai Province to Chiang Khan, Loei Province and Khong Chiam, Ubonratchatani Province. But the construction of hydropower dams in Yunnan, China—since the first dam and now a total of 6 completed dams out of the 15 planned projects—Mekong River has lost its nature to cascade hydropower dams and navigation of large cargo ships for the past 20 years and counting. Admit and immediately mitigate impacts caused by China’s totalitarian water management on the upper Mekong River/Lancang that have happened already for many years, especially transboundary impacts posed by hydropower projects and water release for Chinese large cargo ships navigation. These development projects fail to recognize local communities’ rights and unprecedented environmental impacts downstream. Immediately find resolutions for existing transboundary impacts and mitigation measures for damages and losses caused by unseasonal abrupt water level fluctuations—including flooding due to dam discharge and dry water level and rapids blasting during the development of Mekong Navigation Project. Stop and suspend all dam projects in the lower Mekong basin. These projects have ignored to respect participations of the Mekong people who dependent on the river to sustain their livelihoods and economies. Public participation must be implemented and enforced to prevent grave environmental and social impacts on downstream communities. Create an accountable and participatory water management mechanism that foster inclusive public participation especially from riparian communities who are directly affected by the projects. Mekong River is the Mother River of Southeast Asia. We have coexisted and relied on her since the ancestral time. We do not want anyone to take our Mother River away and use it simply for political interests. The first regional public consultation on the Don Sahong hydropower project took place in Pakxe town of Champassak province on Friday to further the Mekong River Commission’s prior consultation process. Don Sahong channel where the proposed 260-megawatt hydropower project in the south of Laos is planned. The forum was also open to civil society, non-governmental organisations, research institutes and regional and international organisations. The public consultation is part of the transparency process by which the Lao government can share information about the merits of the hydropower project with all interested parties in the four countries. About 100 people attended the regional public consultation, which was organised by the Mekong River Commission (MRC). A site visit to Don Sahong was arranged on Thursday so the stakeholders could see the project for themselves and ask questions of the project staff, experts and the villagers who live near the site. 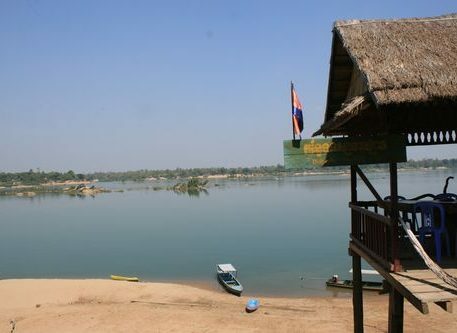 Lao Ministry of Energy and Mine’s Policy and Planning Department Director General Dr Daovong Phonekeo told Vientiane Times that “We have collected information about this project since 2007, notably the issues related to water flow, fish passage and water quality. This is the second time that the MRC has carried out the Prior Consultation process for a project along the Mekong River in Laos. The first process conducted for the Xayaboury Hydropower Project in the north of Laos resulted in important improvements to that project, which is also a run-of-river scheme that requires no large reservoir. The purpose of the Prior Consultation process is not to seek approval for a proposed project. Rather, it is a platform for Cambodia, Thailand and Vietnam, as notified countries, to raise issues of concern on potential effects the project may have on their territories, with technical review and analysis facilitated by the MRC Secretariat, he said. 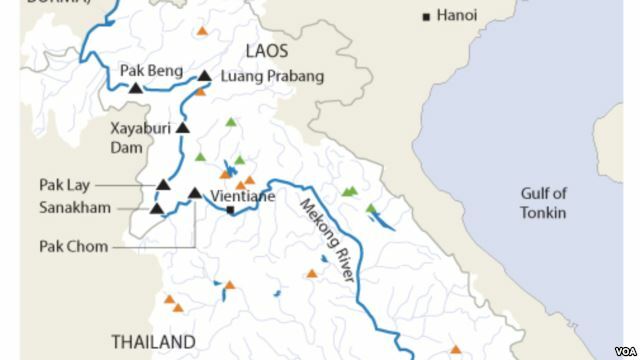 In September 2013, the Lao government submitted the project proposal for Don Sahong Hydropower project under the notification process to the MRC Secretariat. It (the government) later agreed to put the project under the prior consultation process in a move to allay concerns raised by its neighbours. The six-month prior consultation process will end on January 25, 2015. The Lao PDR is committed to keeping alive the spirit of the 1995 Mekong Agreement, which aims to promote comprehensive cooperation for sustainable development in the region. PAKSE, LAOS—A public consultation organized by the Mekong River Commission was held in Pakse, Laos, last week, where opponents continued to call for Laos to reconsider a controversial dam project. Malaysia’s Mega First Corporation, a company tasked with building the Don Sahong dam, briefed regional participants on its social and environmental impacts, in the meeting on Friday. But officials from Cambodia, Thailand and Vietnam remain skeptical of their findings of no significant impact or threat to fish population or migration. The findings failed to address trans-boundary impacts, a main concern raised by environmentalists. Cambodia, whose border is just two kilometers from the dam site, urged the commission to “educate” Mega First about the legal framework of such a controversial project and said there is no baseline data on the fish migrations or populations. “For the sustainable development and preservation of the Mekong River Basin, we, the neighbors of the MRC, need a project that is beneficiary and does not affect other relevant states or that just has a minimal effect that is acceptable,” Kol Vathana, deputy secretary-general of the Cambodian National Mekong Committee, said at the meeting. Chaiyuth Sukhsri, a member of Thai National Mekong Committee, said Thailand is concerned about the dam site, which lies in a “special area.” “So we need a lot of information and require a lot of knowledge,” he said. Vietnam, which has been voicing strong opposition to the project, urged the company to do more studies on the long-term impacts this may have on countries downstream. 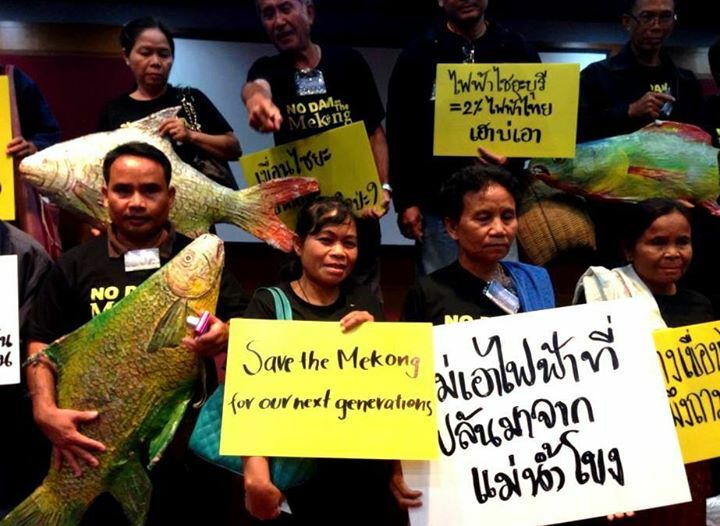 NGO representatives who were invited to the forum urged all governments to listen to concerns raised by their people, while Save the Mekong has called for a complete cancellation of the project. Environmental watchdog International Rivers issued a statement questioning the motives of the consultation forum, saying it would help legalize the project and allow it to go forward. However, Mega First said it is still in negotiations with Laos and has not signed any agreement on the construction yet. Lao officials, meanwhile, seem satisfied with the impact study. In an interview with VOA Khmer, Daovong Phonekeo, director-general of Laos’ department of energy policy and planning, in the Ministry of Energy and Mines, said the country is aware of the concerns of its neighbors. Civil society groups on Thursday criticised the Lao government over delays to public hearings for the controversial 260-megawatt Don Sahong hydropower dam. The hearing, or “prior consultation meeting” will begin in Pakse today, more than four months after it was scheduled to get underway. But activists said the exercise is likely to be fruitless and will serve only to justify the construction of the dam in Laos’ Champasak province. Following pressure from groups concerned about the ecological impact of the dam, the Lao government agreed at a Mekong River Commission (MRC) meeting in June to organise the hearing process over a period of six months, beginning on July 25. Cambodia, Thailand and Vietnam have expressed concern about the potential trans-boundary impact of the dam. A Mekong agreement means the three countries are also required to consult people about the project. Representatives of civil society and state officials from Cambodia, Laos, Thailand and Vietnam yesterday visited the dam site, where preparation for construction work began more than a year ago. At the Second MRC summit in April, Cambodia and Vietnam called for the Don Sahong dam project to be delayed to allow for a trans-boundary impact assessment. The project has been criticised for lacking such a study. Thai villagers living along Mekong basin have expressed fears the project may affect fish in the river. 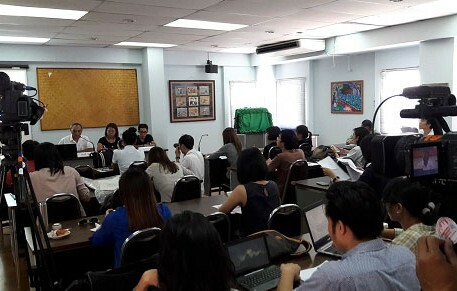 “The prior consultation process for the Don Sahong dam has been set up to fail, visibly following the same pattern as the Xayaburi dam,” said Pianporn Deetes, Thailand campaign coordinator for IR. The construction of the Xayaburi hydropower dam began in early 2012, before the government launched the prior consultation process for the 1,285-megawatt power generating facility. The Thai Department of Water Resources has organised meetings on the Don Sahong project in five provinces. Meetings were held in Nakhon Phanom and Ubon Ratchathani this week, but locals said no documents were distributed to them in advance.